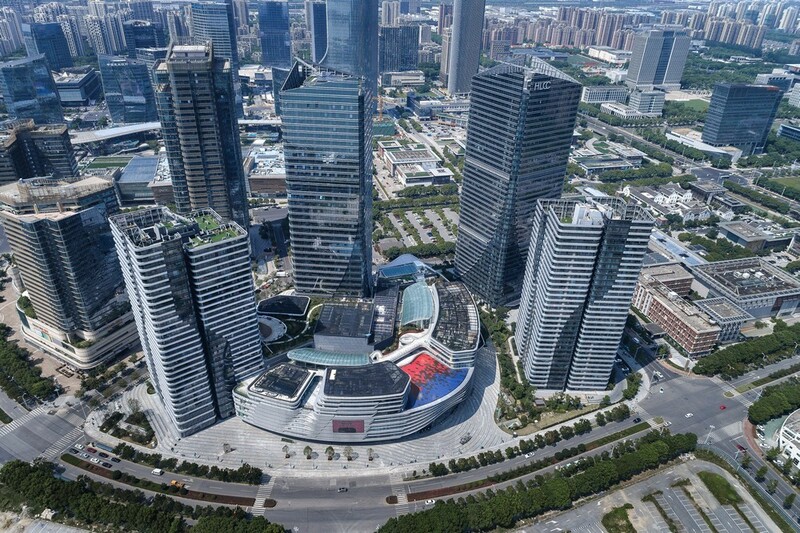 As the first commercial project developed in China by Singapore-listed City Developments Limited, this mixed-use urban development in Suzhou Industrial Park offers hotel, office, retail, and serviced apartments programmes with a 150-metre hotel and office tower, a 150-metre SOHO tower, two 100-metre residential towers and a central commercial podium HLCC Mall. 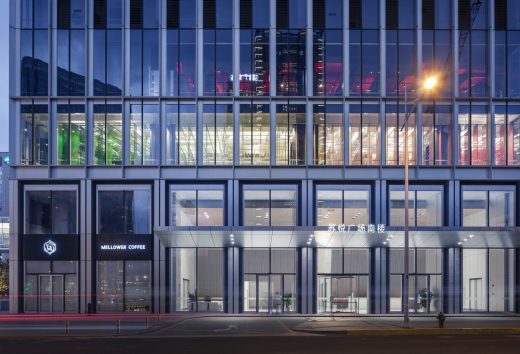 Two-building mixed-use complex developed by Tishman Speyer. 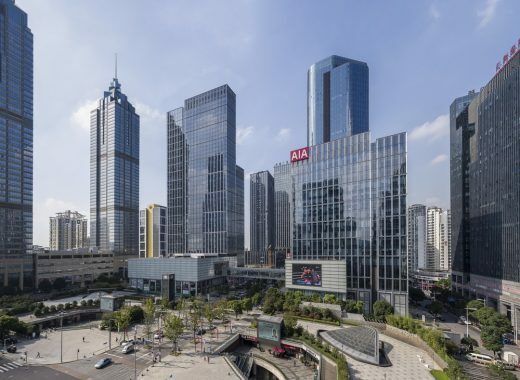 The 150,060-sqm complex is the first major collaboration between GP and the leading international real estate company. The new bookstore is divided into four main zones and several subdivided zones. This first Element hotel in Asia Pacific is well integrated into the green surrounding while maintaining its architectural presence. Fully automated high-bay storage for seven million books – a unique facility in China. 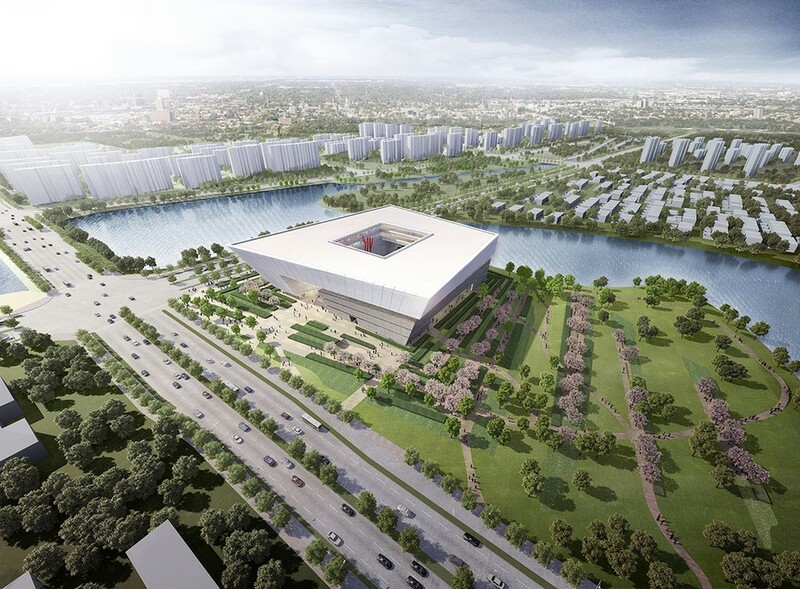 CapitaMalls Asia (CMA) and Suzhou Industrial Park Jinji Lake Urban Development (Jinji Lake Urban Development) unveil its brand. 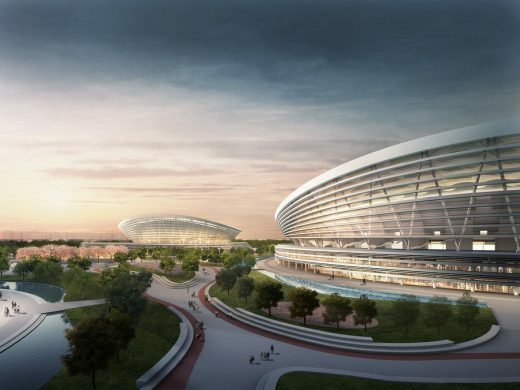 The development’s major retail component will feature the world’s largest monocoque roof structure. 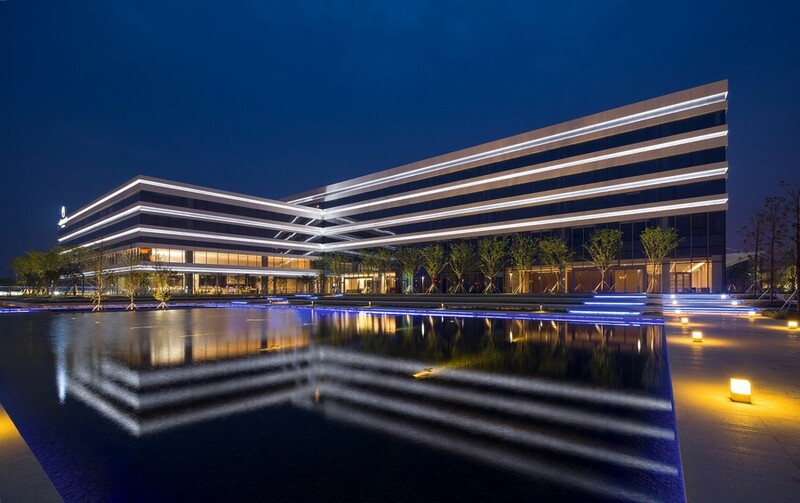 BDP has won the commission to design the International Business School in the ancient city of Suzhou which lies 80 km to the west of Shanghai. The first raft of BDP designed projects in China is now starting to complete with two civic projects in Suzhou, one of the country’s most visited cities, including Suzhou Planning and Exhibition Hall (above): the building is an 8,000 sqm exhibition facility within the Science and Technology Smart City. The SPD Bank building in Suzhou is located at the crossing of Zhongyuan Road and the River in Suzhou Induatrial Park. The building has a three story high podium building and a 15 story high tower in the form of a board. Seven postgraduate students from Scott Sutherland School of Architecture, Aberdeen, arrived at Xi’an Jiaotong-Liverpool University (XJTLU) to take part in an ideas-sharing evening between Chinese and Scottish architecture students. This shopping development is the largest retail project to be built to a design by global architecture, urbanism and design practice Broadway Malyan in China to date. The 163,500 sqm complex, commissioned by Jiangsu Jiarun Real Estate Co. Ltd, consists of a 33-storey office tower, two hotel towers and a retail podium with an entertainment building. 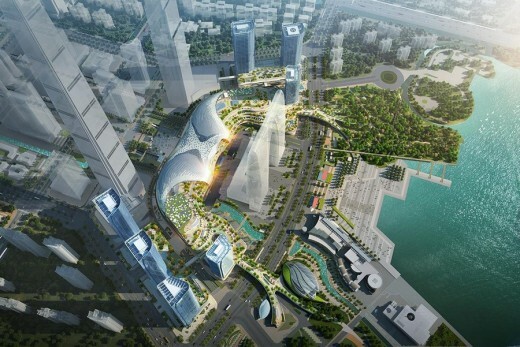 The project is located in the core of the new development area next to Suzhou City. The aim was to create an attractive public urban plaza for the emerging center of the new district. 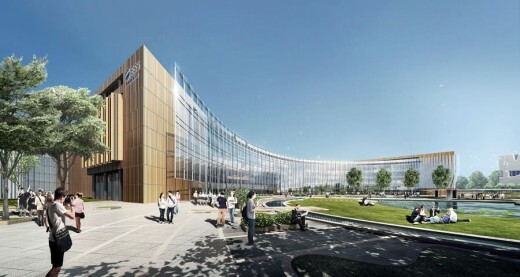 The 21-story, 441,300-sqft project includes 344,400 sqft of office space, an 86,100-square-foot stock exchange, meeting rooms, classrooms, a cafeteria, and underground parking for 400 cars and 800 bicycles.